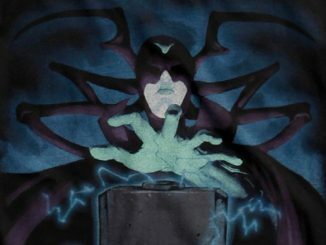 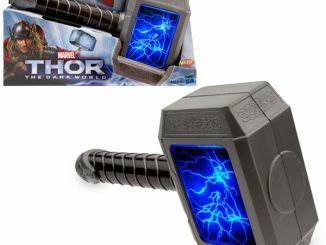 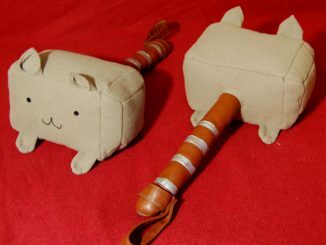 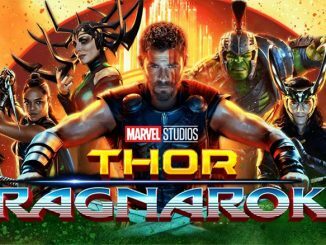 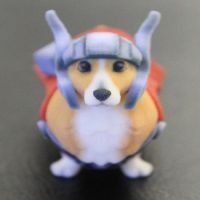 The inscription on Mjolnir reads, ‘Whosoever holds this hammer, if she be worthy, shall possess the power of Thor,’ and the Thorgi Sandstone Statue reveals what happens when a lovable Corgi is deemed worthy. 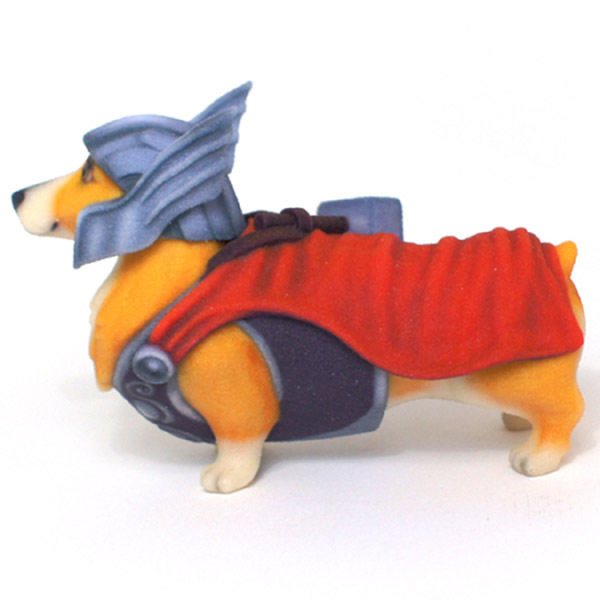 Thunder, lightning, and the awesome power of cuteness are wielded by Thorgi, Dog of Thunder with this 1.291″ x 2.011″ x 2.939″, 3D-printed, sandstone statue featuring a Corgi decked out in a canine version of Thor’s costume, complete with winged helmet and the mighty uru hammer, Mjolnir, strapped across her back. 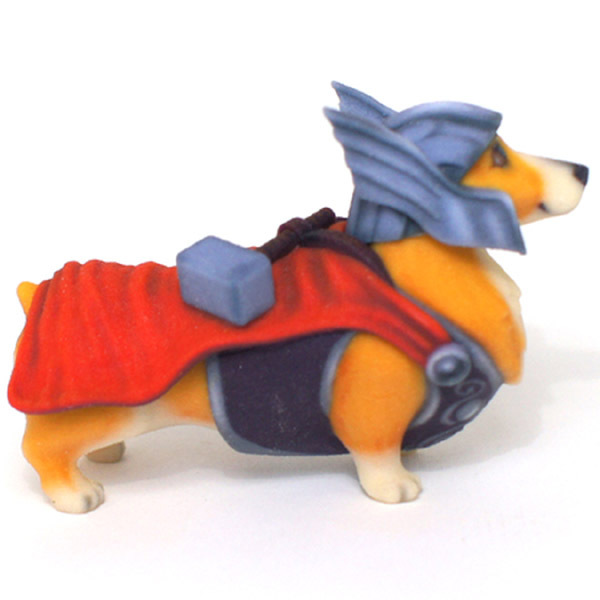 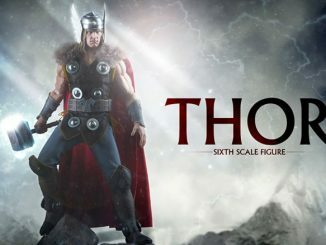 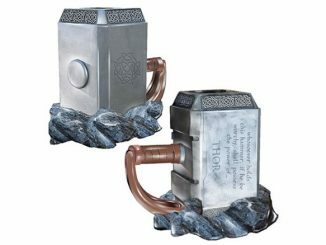 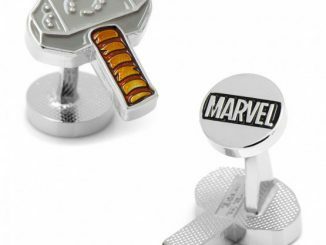 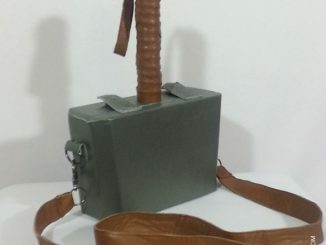 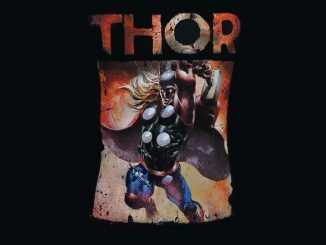 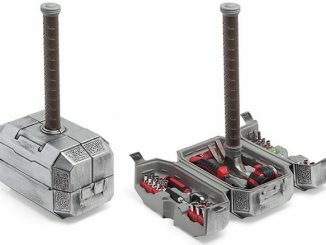 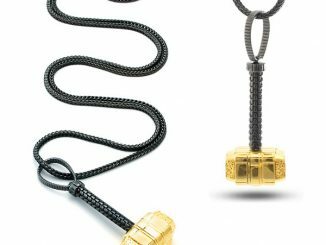 It’s a long way from being large but it could be the perfect goodie for dog-lovers who enjoy the adventures of Thor. 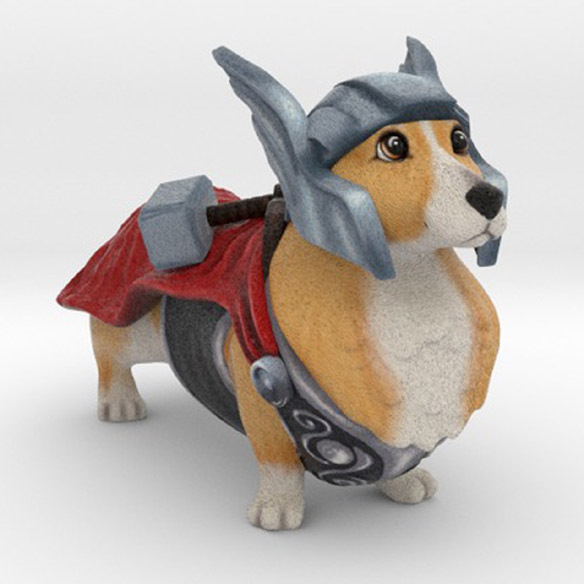 The Thorgi Sandstone Statue is available for $25 at Shapeways.